This October, Soule and artist Phil Noto kick off Matt Murdock’s darkest chapter yet–one that will lead to a chilling and surprising finale in November’s DAREDEVIL #612! Is this the end for Matt Murdock? 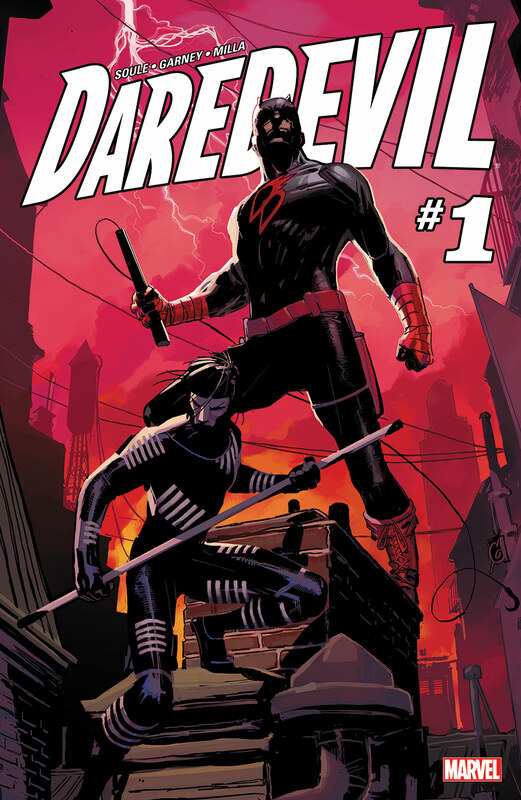 Soule’s run has introduced some memorable characters, such as sidekick Blindspot and menacing villains Ten Fingers and Muse (easily my favourite new character from the run). He also installed a new Mayor of New York, none other than the Kingpin, and when that inevitably went south, our main man, Matt Murdock took over. It has been a memorable run, to say the least. 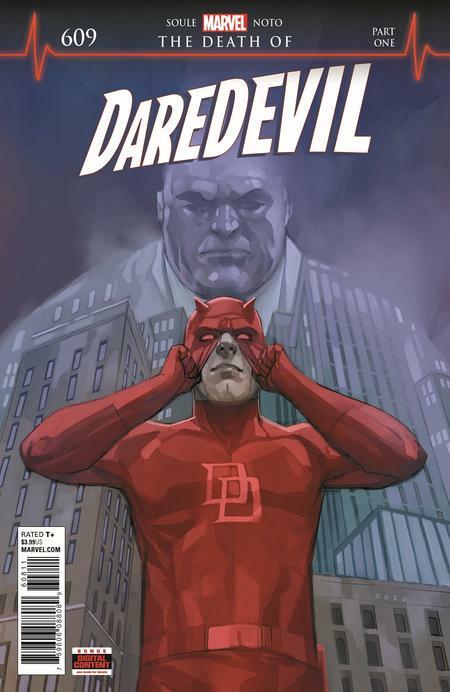 But, is Matt Murdock really going to die, or is this a more metaphorical death? Even though comic book characters are never truly dead, I am still crossing my fingers that my favourite character is not killed off!! Let’s wait and see! Posted in Comics, Daredevil and tagged Marvel. ← DBH Sale & Tee of the Week!